love this life: round up. Hmmmmm. Maybe weekly recaps is the way things will happen around here. As much as I envision taking time at the end of each day to jot a few notes out...I don't seem to be creating the space to do that until I have an extra pair of hands and most of the primary stuff has been touched on, which usually works out to be on the weekends. We are doing our best to survive the summer with some moments of bliss thrown in. 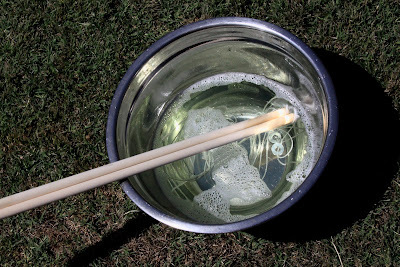 ;) Last week, we spent a day with my sister and her babes, making giant bubble wands. Creating the bubbles was a bit tricky for us, so the kids lost interest after a few rounds. 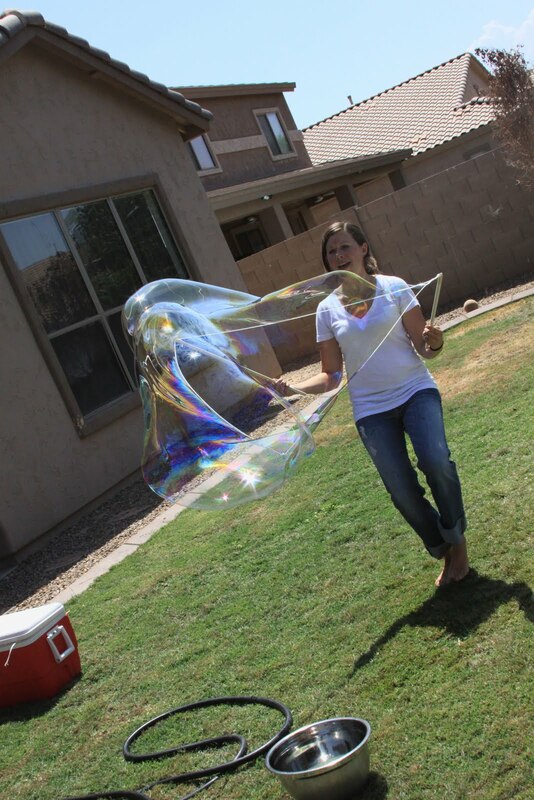 That is when Brittni and I got very interested and tried our hand at making the biggest bubbles we possibly could! 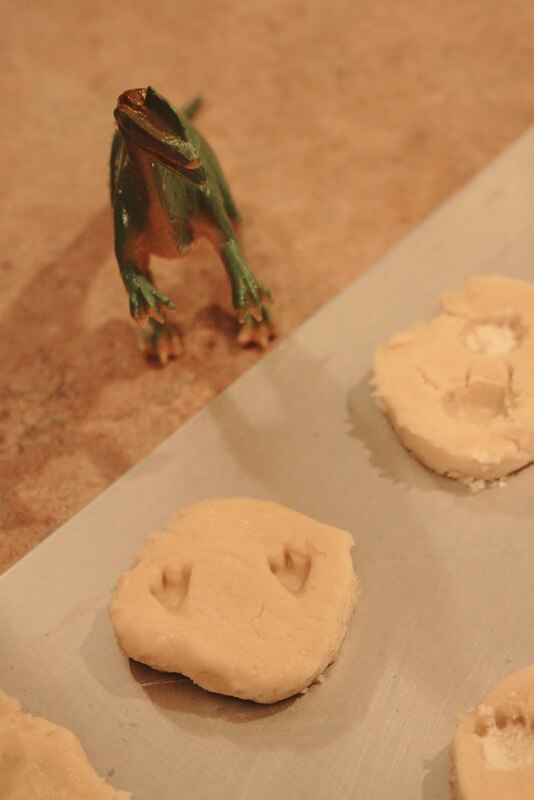 Later that weekend, the kids and I made some fossilized dinosaur footprints in some sugar cookie dough. 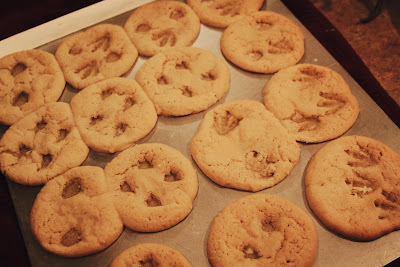 We tried printing the cookies before they went in the oven, but ended up having to re-do all of it once they were out of the oven and cooling. It made cookie eating all the more wonderful. 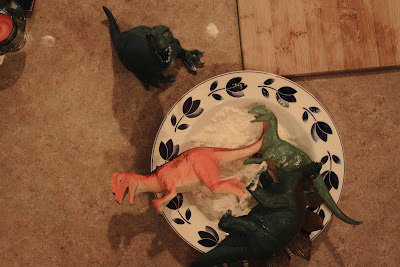 :) We had another lively week with a geography lesson with some friends, an art class where the kids are making things out of clay, a day of dear friends coming over to play, and swimming a couple of times. I even got to go to an herb class this week taught by my wonderful friend because Jamie so willingly accepted to watch my kids while I ventured out with Kodiak. It was a great week! I got real excited about the big bubbles and wrote down all the instructions...then my excitement waned! Maybe when it gets cooler? I'll do it for Hailey who my friend babysits. yes heard that the bubble wand was a little hard for the kiddos...except bee said asher did great! love the cookie idea....so cute!